March | 2015 | This blog is affiliated with the Cedar Bend Humane Society in Waterloo, Iowa to share pet-friendly resources, adoption stories, and CBHS events. Update on Una: Adoption Approved! 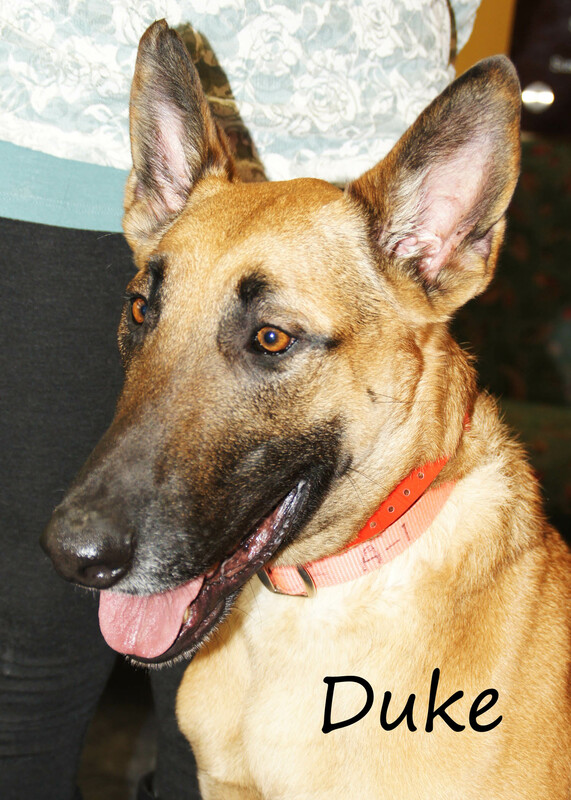 Update: Una was adopted and went to her new home on Tuesday, March 31st. Thanks for following her journey! We’ll keep you updated as we get pictures of Una in her new home. The Cedar Bend Humane Society is happy to let you know Una is doing great after eye surgery, and she is now available for adoption! Una is currently in a foster home, and not at the Cedar Bend Humane Society. If you’re interested in adopting her, please click here to fill out an adoption application. We hope to place Una in her new home within a week. 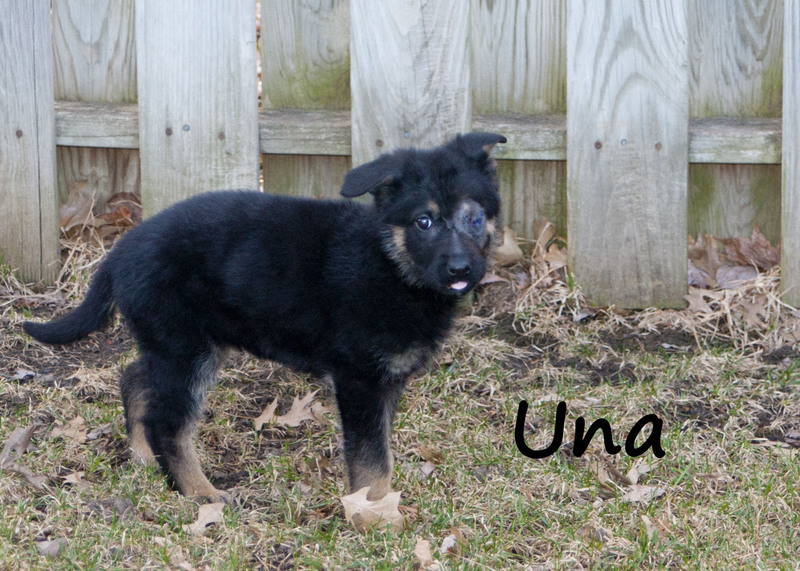 Una is a nine-week-old German Shepherd mix. 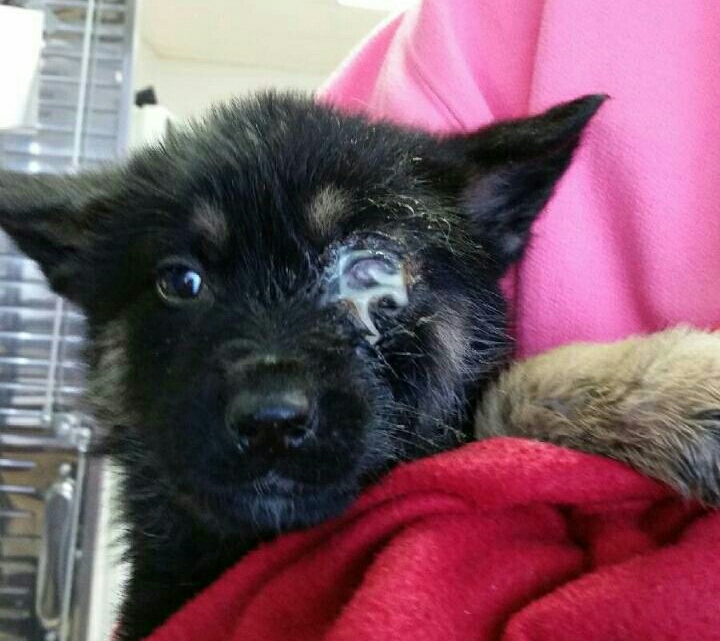 She came to Cedar Bend with a severe eye injury that required surgery and removal of the eye. Una had surgery on Friday, March 20th. She then went to a foster home for her post-surgery recovery. Una got her stitches removed on Monday, March 30th, and she’s doing great! She loves rawhides, she loves exploring, and she loves belly rubs! Ducky is one of our most senior cats looking for a new home. She’s approximately 11 years old. Ducky was with her previous owner for eight years, but then her owner moved and unfortunately couldn’t take Ducky with her. She loves to wander around the adoption center each morning. She’s a very curious cat, and she also enjoys playing. Ducky is a big fan of our Kitty’s Garden and would love to have some cat-friendly grass of her very own! Ducky seems fine around most dogs. Her front paws are declawed, and she has long, tiger striped fur. Since she does have long fur, Ducky will require regular grooming. 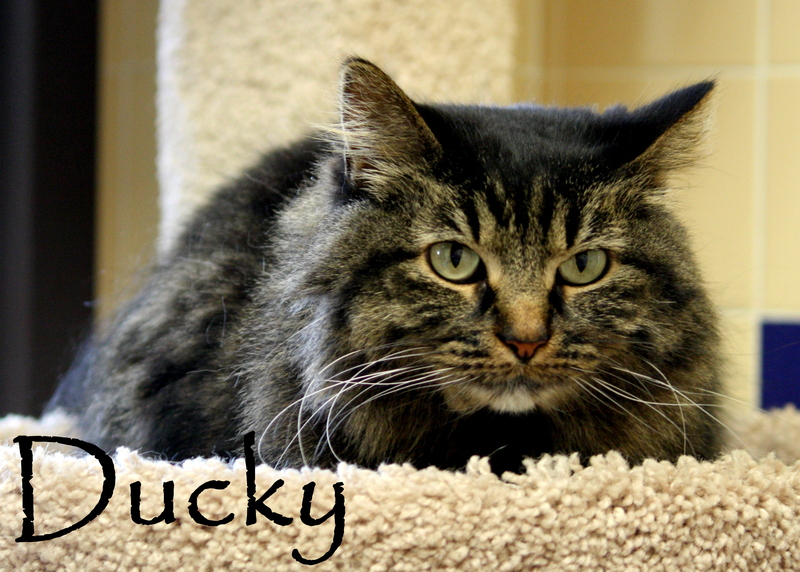 Ducky is looking for a relaxing home where she can enjoy being a loving house cat. Will you give Ducky her FURever home? 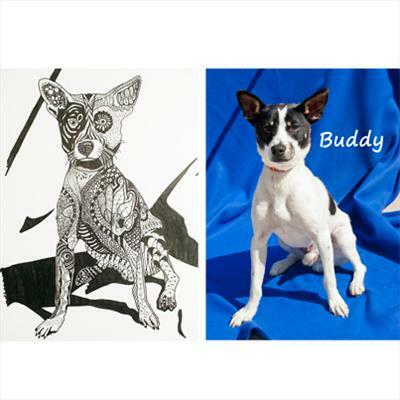 Please visit the Cedar Bend Humane Society at 1166 W. Airline Highway to meet Ducky and to fill out an application. *Note some of the pictures in this post may be difficult to look at. 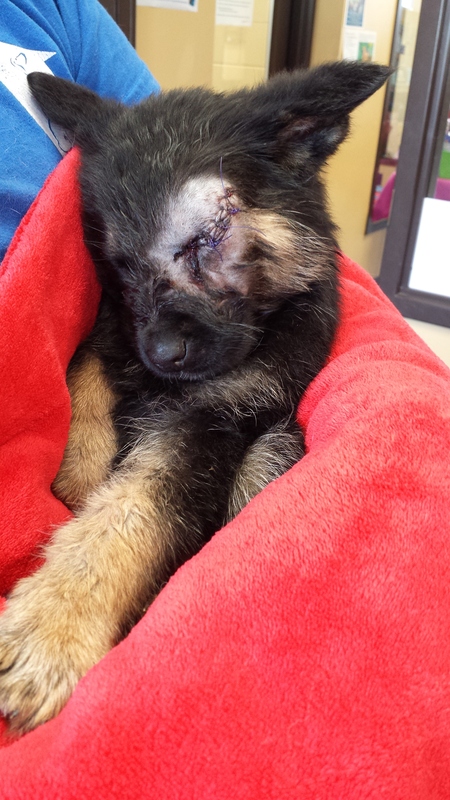 In honor of National Puppy Day, we wanted to introduce you to an injured puppy we recently took in. You can see her in this 30 second video we posted to YouTube. Una is about eight weeks old. 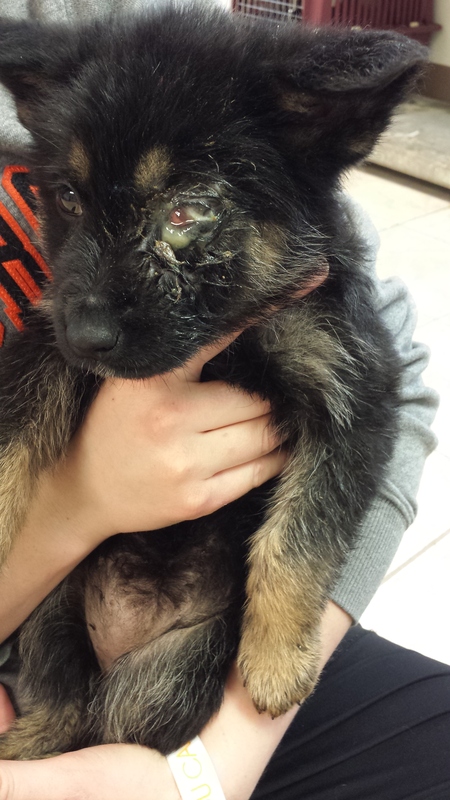 She’s a German Shepherd mix that came to us with an eye injury. 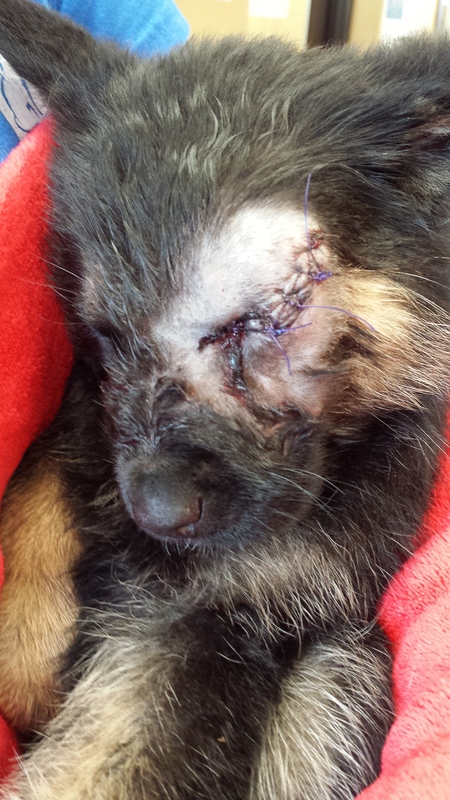 Due to the severity of Una’s injury, it was necessary to remove her eye. She had surgery on Friday, March 20th. Una is doing very well just a few days after surgery. She loves rawhides, she’s a curious pup, and she loves belly rubs (as you can see from her video)! 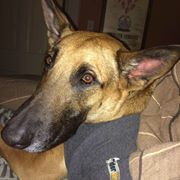 Una is recovering from surgery in a foster home. We are NOT accepting adoption applications for her yet, but please check back for updates in the next two to three weeks. 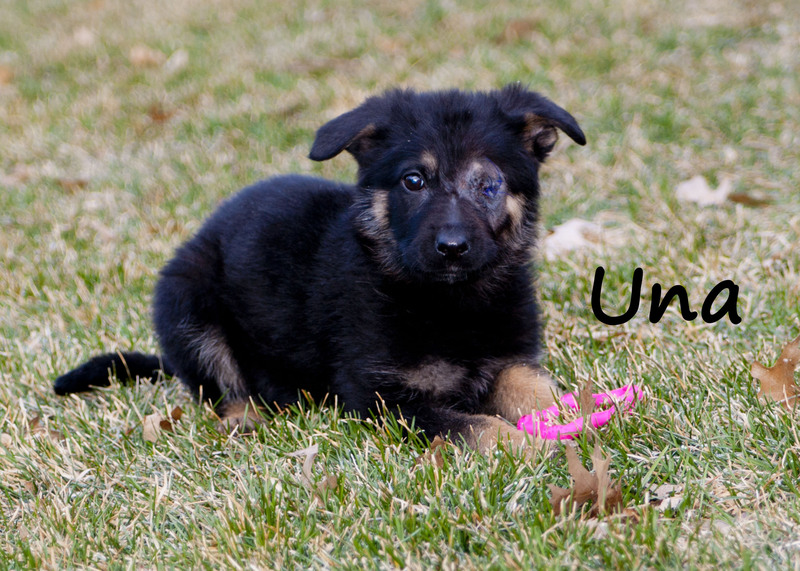 We want to give her all the time she needs to heal before finding Una her forever home. 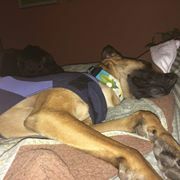 Thanks again if you previously donated for Dixie’s surgery, she is the lab mix with a broken pelvis. Some of that donated money was used to cover the cost of Una’s eye surgery. The Cedar Bend Humane Society is always accepting donations to help us care for the many sick and injured animals that come through our door. You can click here to visit our donation page. THANK YOU! Click here for more information on National Puppy Day. Princess is enjoying a pampered life these days, but she didn’t always have the royal treatment she has now. Princess was abandoned in October 2014 and taken in by the Cedar Bend Humane Society. At that time, she had major skin issues, a problem with one of her legs, and a hernia. 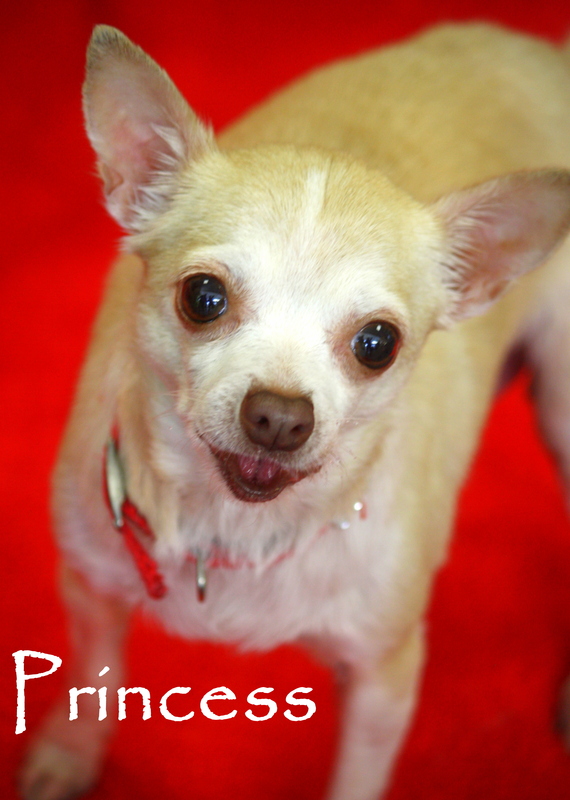 But thanks to surgery and a wonderful foster home, Princess is doing great and looking for her new home! We think Princess is about seven years old. She’s a Chihuahua. Princess does great on a leash, she loves attention, she enjoys being held, and she gets along well with most other smaller dogs. She still needs a little work on house training, but she makes more progress every day and we’re confident she’s almost fully trained. Will you give Princess her FURever home? Since Princess is in a foster home and not at the shelter, we ask that you fill out an adoption application first. Then we’ll set up a time for you to meet her. 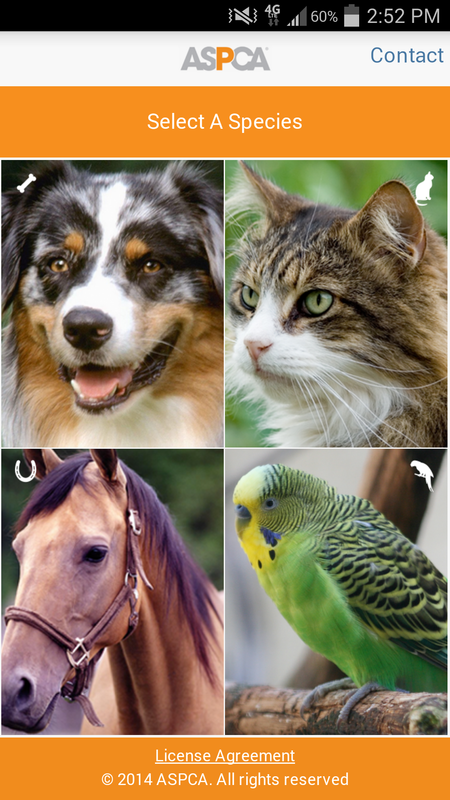 March 15th through 21st is National Animal Poison Prevention Week. 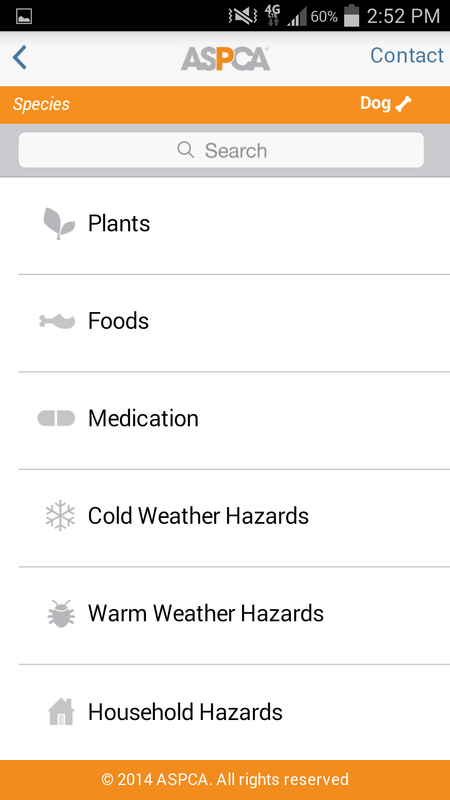 One great resource is the new APCC (Animal Poison Control Center) app through the ASPCA. The app is free to download to your smartphone or other device. After you’ve downloaded the app, you can open it and select a species. Then select from one of the categories or enter a search. 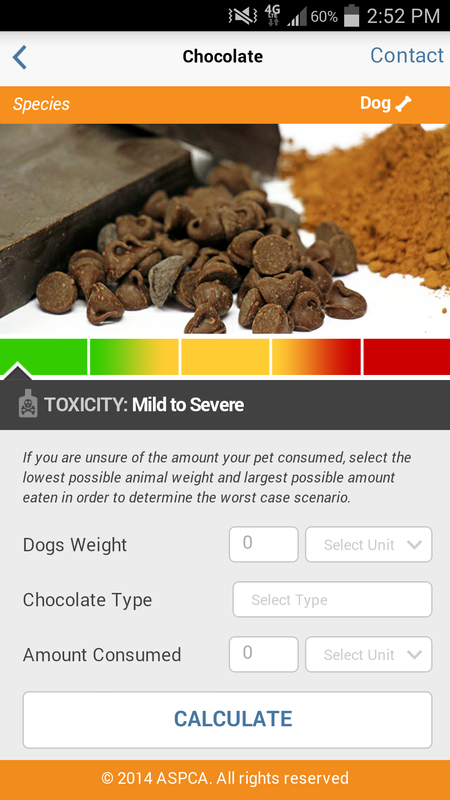 The app shows you the toxicity level, possible effects, and action to take based on the risk level. 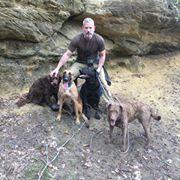 In partnership with one of our volunteers, the Cedar Bend Humane Society is offering a ZEN DOODLE class on April 14th. ZEN DOODLING, also known as ZenTangle®, is an art form combining simple and complex lines into lovely structured patterns. No experience necessary; the art form is easy to learn and apply at your own pace. The cost is $25, which goes back to support our homeless pets. We only have room for about 15 participants, so reserve your spot today! Refreshments and art supplies provided. Click here for on-line registration and payment, or fill out a registration form at the Cedar Bend Humane Society Adoption Center located 1166 West Airline Highway in Waterloo, otherwise click here to print the registration form to mail in. 100% of proceeds go to support the homeless animals at the CEDAR BEND HUMANE SOCIETY. Students are asked to provide one head shot of the pet they would like to ZEN DOODLE. If you do not have one, a photo of a shelter pet will be provided. Please email pet photo to CBHSEvents@mchsi.com by Friday, April 10th. Photos that work best have a strong contrast between the pet and the background. At the end of class, participants will have a good start on their 18” X 24” artwork to be completed at home. Participants will receive a pattern sheet to take home. Thank you Carrie for donating your time and talents to this artistic fundraiser!